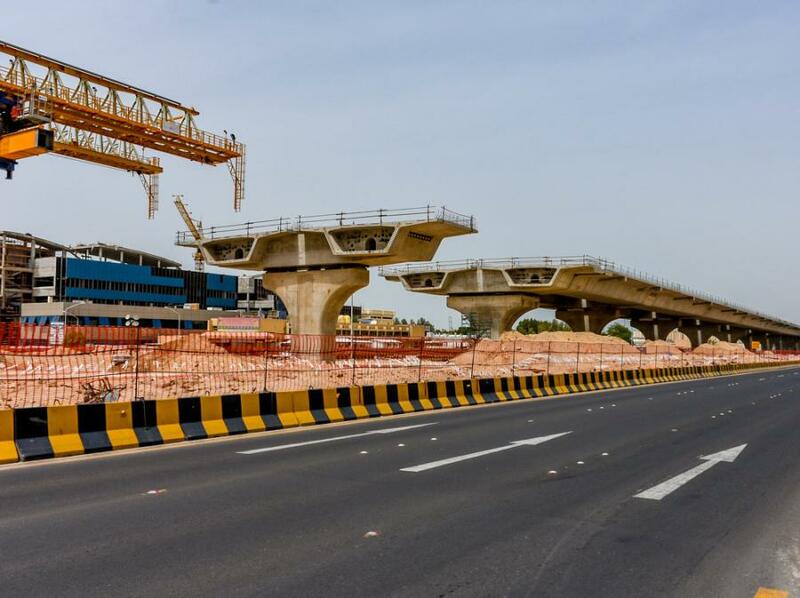 Total domestic transportation construction and related-market activity is forecast to reach $255 billion in 2018, a year-on-year increase of 3.2 percent after adjusting for project costs and inflation. The 2017 market performance is expected to come in at $247.1 billion. The U.S. transportation infrastructure market is anticipated to rebound slightly next year, following a 2.8 percent drop in 2017, according to the American Road & Transportation Builders Association's economic forecast released Nov. 30. The 2017 market drop was largely driven by the overall national decline in state and local highway and bridge spending, which is expected to be down 6.4 percent and 7.7 percent, respectively. ARTBA Chief Economist Alison Premo Black shared the findings in her multimodal forecast during a webinar for analysts, investors, transportation construction market executives and public officials. Although the overall U.S. transportation infrastructure market will see modest growth in 2018, the situation will likely vary significantly by state and region, according to Black. The market is forecast to grow in 20 states and Washington, D.C., and slow in 23 states, with the remaining seven expected to be relatively flat. The largest growth is anticipated in California, Florida, Hawaii, New York, Virginia and Washington, ARTBA said. The association anticipates a slowdown in new work in Arizona, Colorado, Delaware, Maryland, Nevada and Oklahoma. The Minnesota, New Jersey, Ohio, Texas and Iowa markets are anticipated to be steady. Federal highway funding of state DOT programs provided by the 2015 FAST Act will continue to show inflationary growth in 2018, providing a degree of market stability in every state. Black noted that although there have been significant increases in state and local revenues for transportation purposes in a number of states over the past several years, some of that revenue is dedicated to debt reduction or has been delayed from reaching the transportation market due to state budget issues. These factors, combined with receding state markets due to completion of bond programs or declining or inflation-eroded state revenues, continue to cause a drag on the overall U.S. transportation infrastructure market. The bright spots in the market continue to be airport terminals, public transit, Class 1 railroads and private driveway, street and parking lot construction associated with residential and commercial developments. The real value of public highway, street and related work by state DOTs and local governments — the largest market sector — is expected to increase a modest 2.4 percent in 2018 to $58.1 billion after falling 6.4 percent to $56.8 billion in 2017. Six highway-related public-private partnership (P3) projects came to financial close in 2017, totaling over $7.5 billion in investment. Work on private highways, bridges, parking lots and driveways will increase from $62.4 billion in 2017 to $63.3 billion in 2018, and will continue to grow in the next five years. With some major projects, such as the New NY Bridge and Ohio River Bridge reaching conclusion, the pace of bridge work has slowed. The public bridge and tunnel construction market is expected to increase slightly in 2018, to $31.3 billion. Work in 2017 is expected to be $30.5 billion, down from $33.1 billion in 2016. Public transit and rail construction is expected to grow from $20.3 billion in 2017 to $21.3 billion in 2018, a 4.6 percent increase. Subway and light rail investment is expected to reach a new record level, increasing from $7.7 billion in 2017 to $8 billion in 2018. Airport terminal and related work, including structures like parking garages, hangars, air freight terminals and traffic towers, is expected to increase from $11.7 billion in 2017 to $13.4 billion, a 14 percent increase. Runway work, which has been down the last few years, is forecast to increase from $3.6 billion in 2017 to $4.1 billion in 2018. The value of port and waterway investment is expected to remain flat at the $1.8 billion level. Construction activity in 2017 was down from $2 billion in 2016 and $2.4 billion in 2015. ARTBA's proprietary econometric model takes into account a number of economic variables at the federal, state and local level. The forecast measures the public and private value of construction put in place, published by the U.S. Census Bureau. The ARTBA estimate for the private driveway and parking lot construction market are separate. The full forecast can be purchased at www.artbastore.org.